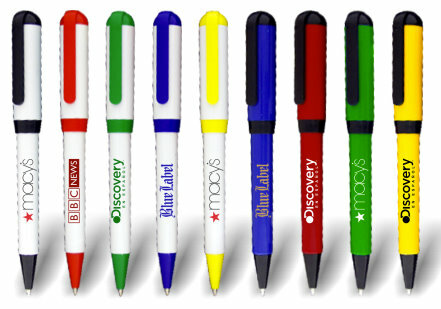 U.S. manufacturing is making a big comeback, and our line of U.S. made, UNION PRINTED promo pens are some fantastic proof. Not only are these custom logo promo pens made in the good ol' U.S. of A, but they are as competitively priced as their European competitors. American quality is back, so get on the home team and feel good about it when you order your company's promotional pens!